This entry was posted on Thursday, July 14th, 2016 at 8:15 pm. Don’t you love it when Thursday is your Friday? That’s me right now. I have one more hour before I can sign off and enjoy another three-day weekend! After months of being under construction with the home renovation from heck (more on that later), it will be nice to unwind and relax now that everything is basically back in place! 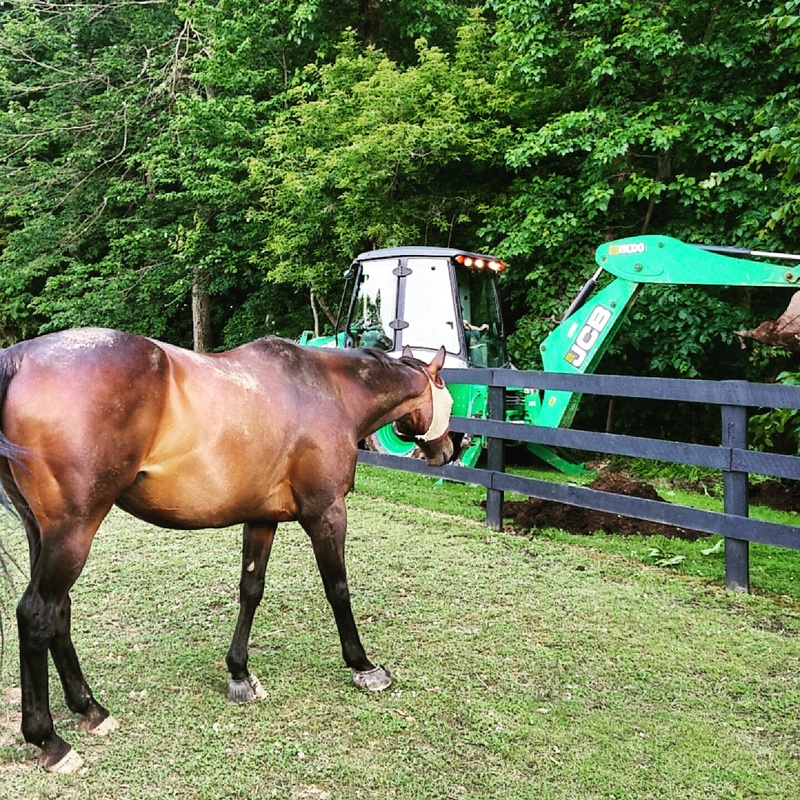 Below is a picture of my Bailey boy; I took this a few weeks back when we rented a backhoe to do some work around the farm. What a brave guy! He is such a boy – he always seems so interested in farm equipment and tools – loud noises don’t bother him at all!